It’s a fun fact that founders of Adidas and Puma were brothers – Adolf and Rudolf Dassler. Together they founded the Dassler Brothers Shoe Factory. As a result of a dispute after World War II, Rudolf started his own shoe factory Puma and Adolf ran Adidas. This is where today's competition between both companies originated. I just heard of this story recently and found it really interesting. With this perspective in mind, I decided to do an insightful analysis of both companies’ social media performances to see whether this historic story is being reflected on social media or not. 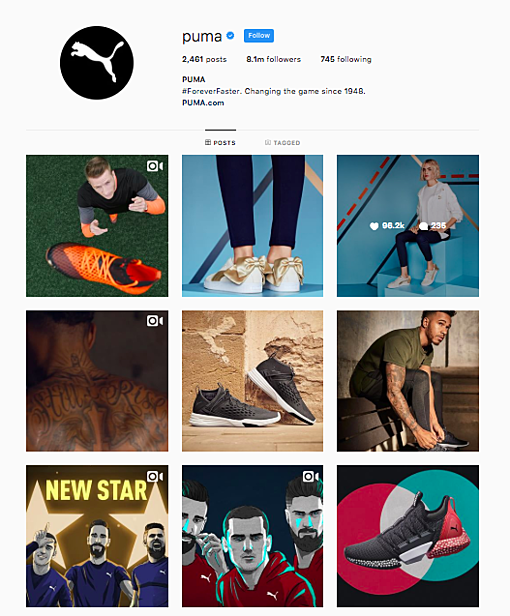 The analysis will focus on Instagram as both brands seem to do the same. 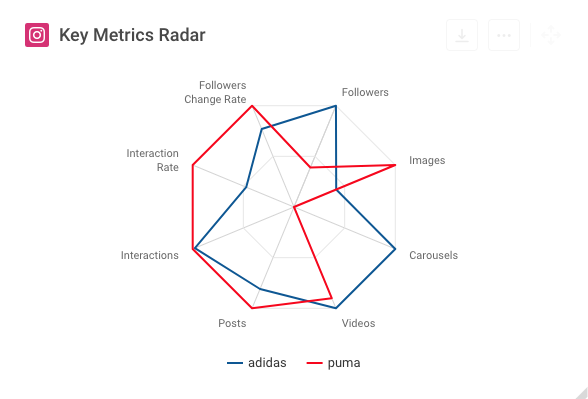 Although Adidas has more than double the fan count, Puma manages to even outperform Adidas in terms of average interactions per post in July 2018. Facebook is the least used social network - Adidas has zero posts in the analyzed 30 days, even though their fan count is greater there than among all other social media channels (34,5 million). 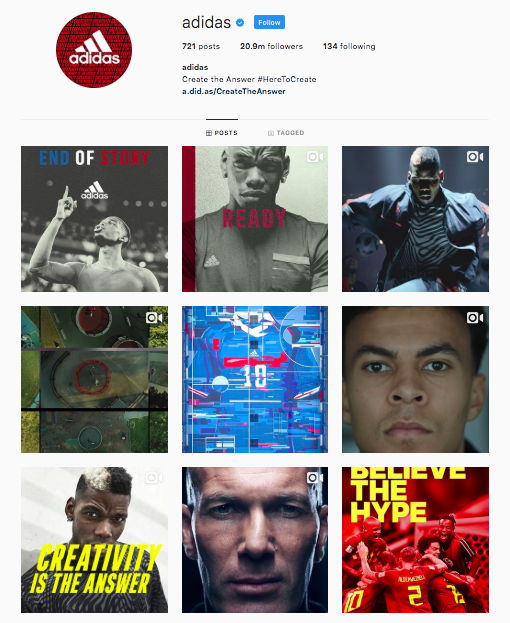 Comparing the content both post, Adidas seems to be far more creative and diverse. Adidas is the more popular brand but still, Puma cannot be underestimated. They seem to take care of their social channels and also show a lot of content with a high production value. The analysis contains data for the timeframe of June 17 to July 17 of 2018. It’s not surprising that the content covers the World Cup this year but what strikes me the most going through Adidas’ Instagram feed is that the visuals are on point. Adidas’ global campaign ‘Here to create’ featuring the most influential athletes, designers, musicians in sport culture already gives an impressive statement but the creativity and uniqueness of each post really stands out. This is one of the best performing posts. They took France’s win of the football World Cup 2018 as an occasion. Paul Pogba, midfielder of the French National Team and partner of Adidas, pointing his fingers up could have been the eye catcher of this photo but instead the photo is monochrome and only the logo and caption is highlighted. Especially the caption ‘End of story’ in the style of the French Flag goes along with the ‘Here to Create’ campaign. Through the World Cup, a story has been created and France’s win indicates the end of this story. Puma seems to concentrate more on presenting their products. In all photos above, the shoes are the focus (as well as in the videos). Complete the job? You mean ‘Complete the biggest heist in history’. Right, this animation video reminds us of the Netflix series ‘Money Heist’, also known as ‘La Casa de Papel’, where a team of eight criminals plans to enter the Royal Mint of Spain and print €2.4 billion. 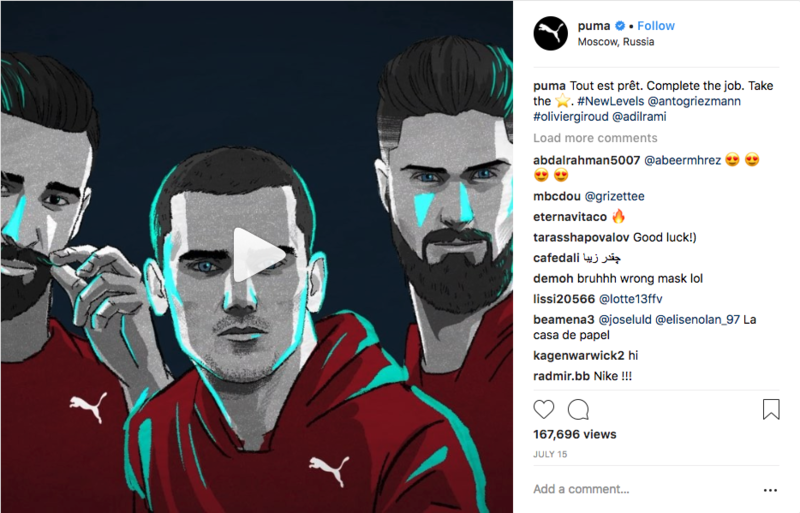 The video features Antoine Griezmann, Olivier Giroud and Adil Rami, three French national team players, and was created for the then upcoming World Cup Final. Similar to the heist team in the series, the three players are wearing a red tracksuit with a mask on. This mask looks just like Adil Rami, probably because the original mask has similar facial features. This is a great way of marketing. There’s a rather big hype about this series right now and connecting it with the football theme is very creative, taking advantage of the familiarity effect always goes over well with the young generation. 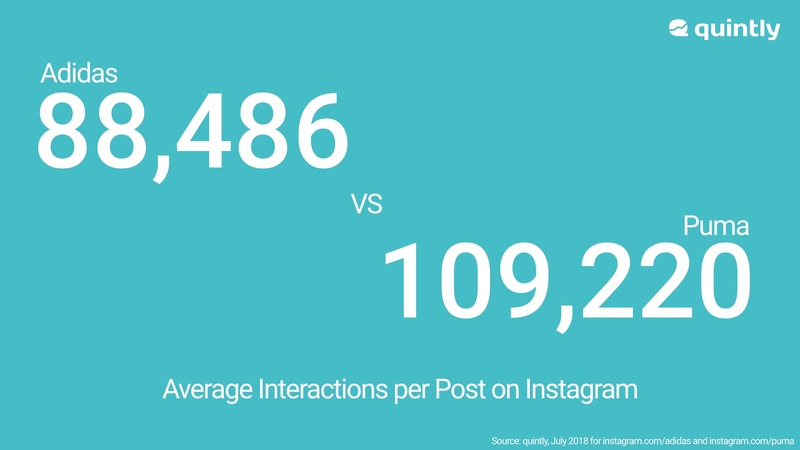 The “Average Interactions per Post” can give a good overview of the overall performance of your content in relation to interactions. In comparison with your posts, it can also give you a pretty good insight into how many posts are ideal to publish. Are your average interactions for 3 posts a day not too much higher than when you only post once? This could be a sign that it’s actually not worth posting more than once or twice a day and rather spend your time to make your one daily post even better regarding quality. This shows Selena Gomez, brand ambassador of puma, in her new collection and expresses: ‘Fun, joy and beauty’ which the fans seem to love. A touching video of James Harden, one of the top NBA-players; His mother is telling the story of James’ path to becoming a professional player which had nothing to do with ‘luck’. This video includes original clips with dramatic background music which makes it even more moving. Considering the creativity of this content it’s surprising that it has about the same amount of interactions as the post of Selena Gomez, though it is much more creative. Eventually, Adidas could change their content strategy. Every second post is video content but they perform worst among all post types. A tip could be to focus on images and carousels. For Puma, perhaps they could try out post carousels. Maybe it turns out to be great content for their audience! But in general, it’s quite surprising that videos get quite low interaction rates among Adidas and Puma. This is rather unusual and we can only guess why this is the case. What do you think? Let us know in the comments below! 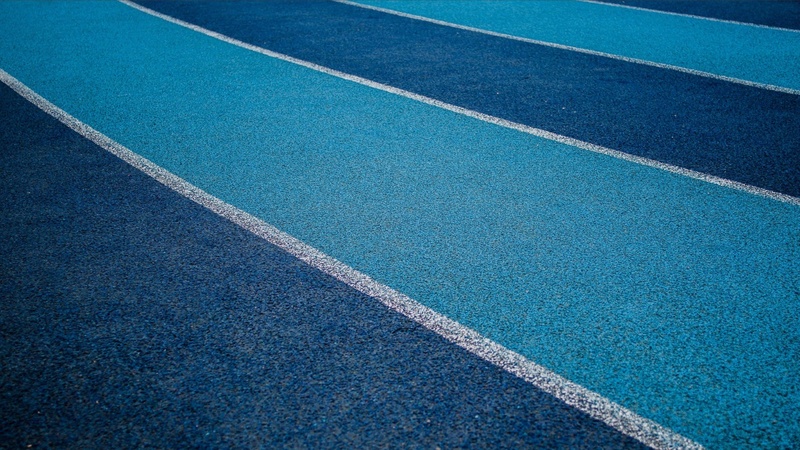 Final decision: Are both competitors on social media? Two rival brothers. Their competition lasted centuries. It now continues on social media! Here, we are looking at the Key Metrics Radar, a quintly social media metric. Puma has less than half of the fan count Adidas has but still competes head-to-head in terms of interactions. The Followers Change Rate is greater as well, hence they have a lot of potential in growing their fan base and eventually outperforming Adidas. 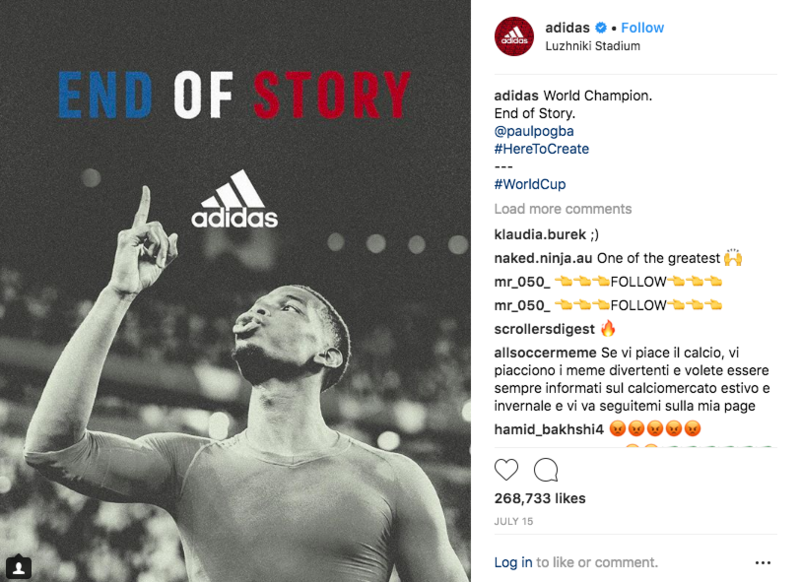 But it goes without saying that Adidas creates high-quality content along with their campaign ‘Here to create’ and shows a unique idea in every post. 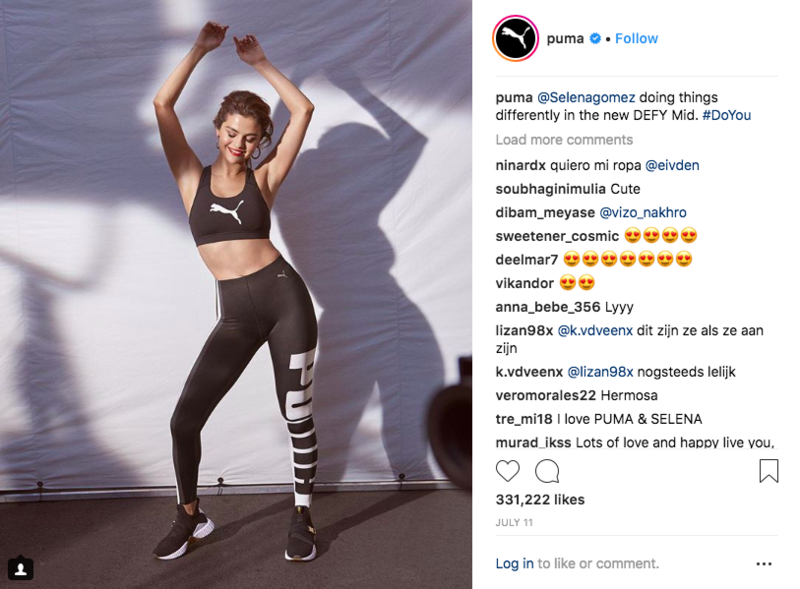 Regarding their content strategies, Puma seems to focus on their products visually and more directly, while Adidas wants to go deeper and boost brand sympathy. Adidas comes up with entertaining and moving content, much less giving the appearance to just sell a product. Jaschminca was a quintly communications intern who loves to learn new things, especially all around social media.